I’m working on an update to the Practices and Techniques document I developed in 2008. While this has been a published document in my airline for several years, it was recently taken offline and is now a training background reference, as was the original intention for it’s development. Just one of the many subjects beng added is a section on whether to Stand the Crew Up during a Non Normal on the ground. Most particularly applicable to a Rejected Takeoff – this issue is the cause for much discussion at times. In the event of a NNM on the ground (takeoff, landing, taxi, etc) that includes any potential for an Evacuation, the Captain needs to decide whether or not the stand the crew up with the Alert PA. This question applies whether rejecting a takeoff at high speed; a serious malfunction during taxi; or while parked on stand. Some Captains believe that unless there is a clear indication that an Evacuation is likely, it’s not prudent to raise the crew to high alert, because it increases the risk of the Cabin Crew peremptorily commencing an evacuation by themselves. The risk associated with not standing the crew up is reducing the time crew could have to mentally rehearse their actions in the event of an evacuation, to assess the cabin and outside area and carry out other actions associated with this phase, in accordance with their training. 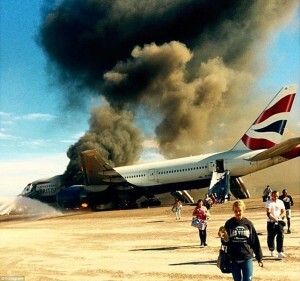 This of course assumes that the situation is such that the flight deck crew have a clear understanding of the likelihood of an evacuation based on what they are facing – which is not always the case. The option to escalate the non normal as the situation develops, or revert to normal operations, always remains. This last category in which crew may commence the evacuation without any (further) input from the flight deck includes Ditching (prepared or otherwise); if the aircraft has broken up; or other life threatening circumstances. The Command required not forthcoming category includes allowing 30-60 seconds for Flight Crew to assess and action the appropriate drills, after which cabin crew will contact the flight deck. No contact is interpreted as a possible incapacitation and contact will be initiated through a Cabin (Pilot) Alert Call, and/or by direct access to the flight deck. It should be noted that usually the Flight Deck Crew have already initiated contact through the Alert PA ( “This is the Captain, Cabin Crew to your stations.” ) at the begining of the NNM. This initial contact from the Flight Deck Crew to the Cabin is crucial to let the crew know that you are alive and (capable of) dealing with the NNM. Alternatively in the event the Flight Deck Crew believe the potential for evacuation is low, the alternate PA (“Passengers and Crew Remain Seated.“) is employed instead. In the event that there is any reasonable likelihood of a passenger evacuation the conservative response is to prepare the crew with the Alert PA. 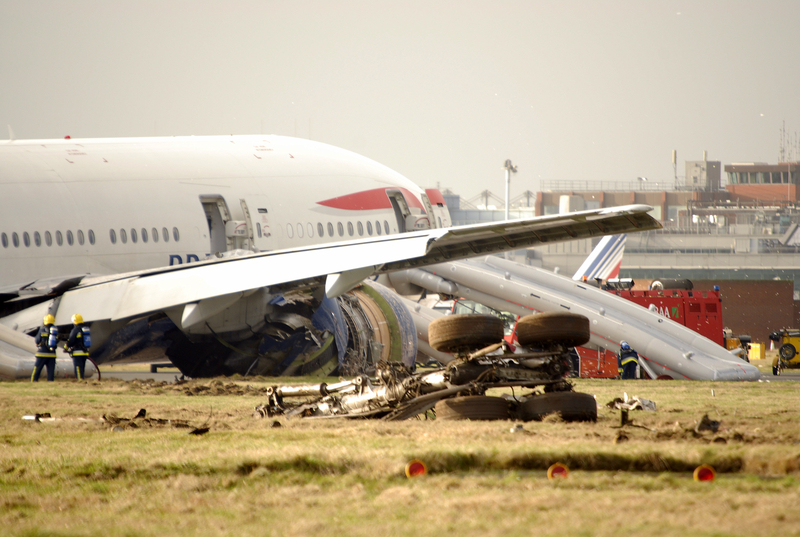 In and of itself, a brake fire owing to a rejected takeoff is both a likely consequence of a high speed RTO, and an unlikely cause for a passenger evacuation, especially if fire services attend the aircraft promptly. Certification standards take place under maximum weight high speed rejected takeoff with the brakes worn to within 10% of their service limitations, and the brakes are untouched for 5 minutes prior to fire services attending.